Taxpayers foot £2m bill for ‘The Hub’. Yet despite “lessons learnt” Milton Keynes Council aims for another at Saxon Gate. 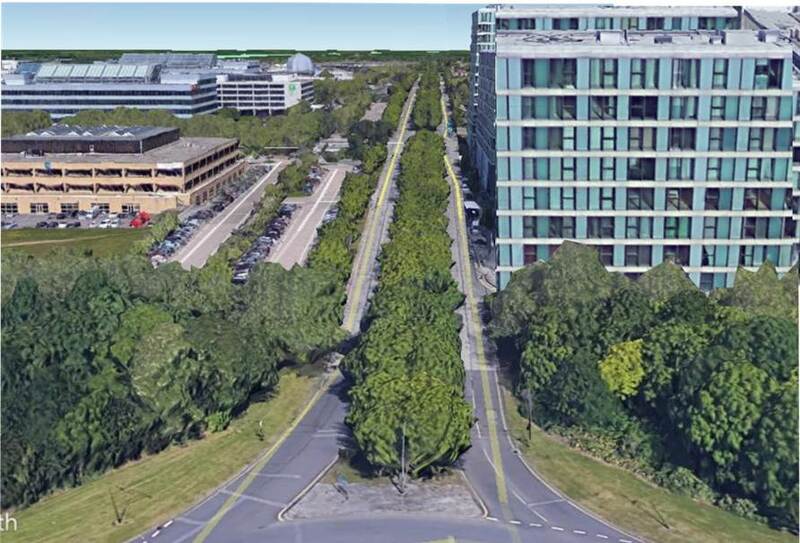 Despite a rise in traffic jams, accidents and parking issues around the ‘Hub’ development in Central Milton Keynes, and the £2.1m cost of altering highways*, MK Council (MKC) is gearing up for a similar project at Saxon Gate. Saxon Gate is one of the busiest gateways to CMK. Here, opposite Debenhams, the Council owns Saxon Court; a subtle piece of Modernist architecture it now wishes to sell. But instead of promoting the most sustainable option (to refurbish the heritage building and develop the empty site at the back) the Council’s Draft Development Brief firmly steers would-be investors to option 3. ‘Son of Hub’ for Saxon Gate? Is CMK destined for another Soviet-style project, looming over bleak, deforested boulevards? Will frustrated drivers stop on grid roads to drop off a parcel or pick up a passenger, jamming up traffic and causing accidents? Unless Council leaders persist in this corporate amnesia there is still time to change the development brief. This entry was posted in 20th C architecture under threat, CMK, Destruction of CMK, Milton Keynes, Neighbourhood Plans, protecting CMK, trees at risk in Milton Keynes, urban planning and tagged Central Milton Keynes, destruction of CMK, local democracy, Milton Keynes, trees at risk in Milton Keynes on February 13, 2018 by xplain. What’s ‘The Point’ of having teeth if Milton Keynes Council doesn’t dare use them? Back in 2014 there were so many objections to Hammerson’s sketchy plans to replace The Point with a giant exploding Toblerone (ok, a glorified retail shed) that, although they won outline planning permission, it came with conditions.The retail giant was told it had to listen to local people and produce an approved Design Code before filing the final, detailed plans. 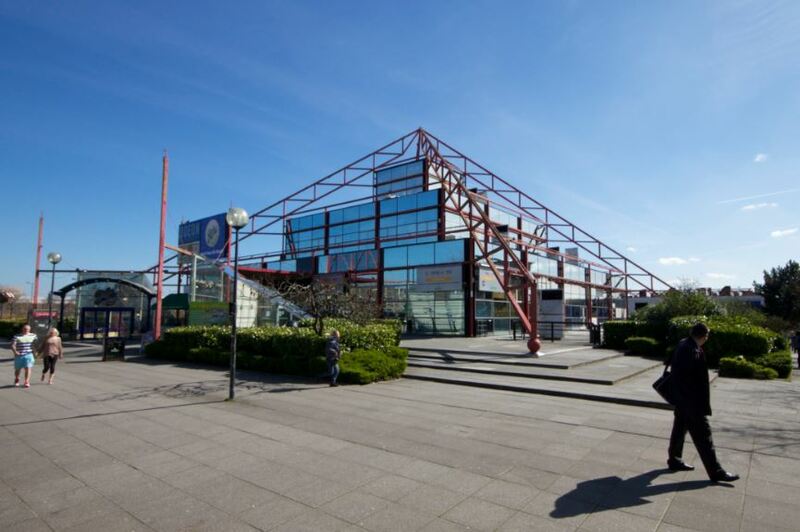 MK Council used this condition to ensure that local people had a real say in designing a decent replacement for this much-loved building in Central Milton Keynes. But Hammerson did nothing of the sort. In fact, they did nothing for 3 long years while The Point crumbled away. Then, with their outline consent about to expire, the giant woke up. Arguing that this condition ‘artificially shortened’ the 3-year deadline to submit final plans they asked if they could put the cart before the horse. In other words, they wanted to file detailed plans first and the design code sometime thereafter. And instead of letting the application lapse, as it otherwise would, officers agreed. So now Hammerson has up to two more years to sit on their assets which are obviously worth far more with planning permission than without. Certainly, we can expect them to file a detailed ‘reserved matters’ application by the deadline of 17th Feb (their architects must be on overtime). But once filed, is it really likely they’ll listen to local people who might want a very different design code? 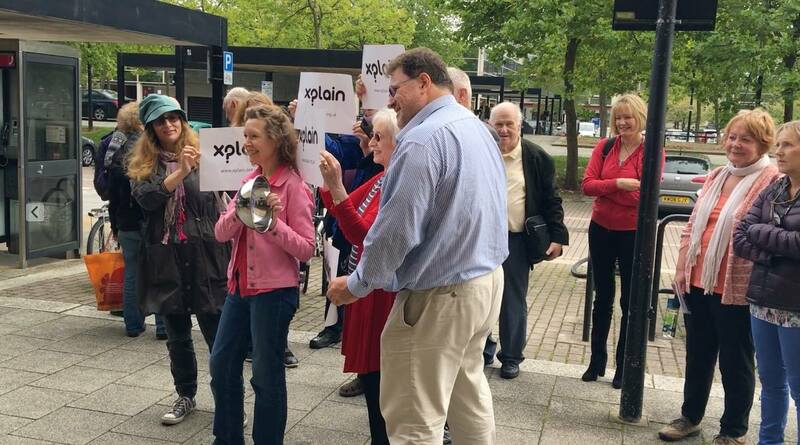 To Xplain, it looks as if MK Council has shown its teeth – only to hide them behind a wobbly smile. This entry was posted in 20th C architecture under threat, CMK, corporate greed, General, Milton Keynes, The Point and tagged Central Milton Keynes, Milton Keynes, MK Council, Modernist Milton Keynes on January 29, 2018 by xplain. Linford Lakes Nature Reserve is a peaceful refuge for all sorts of wildlife, from otters to owls, but nature-lovers are in great alarm over plans to build 250 houses in the adjoining countryside. Although MK Council refused an identical planning application only this March there is a now a real chance that a repeat application will be approved. 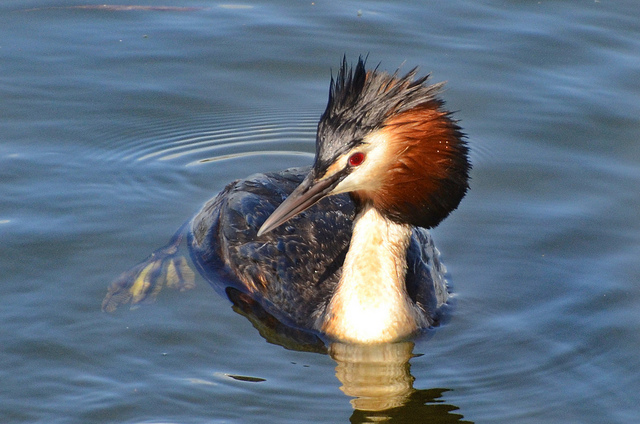 Great Crested Grebes at Linford Lakes, by Tony Bedford. This entry was posted in corporate greed, General, Milton Keynes, urban planning, wildlife at risk in MK and tagged Milton Keynes, Open green space, wildlife in Milton Keynes on August 11, 2017 by xplain. Last night the leader of MK Council defended a controversial list of green open spaces which senior planners have drawn up as part of the massive housing targets for Plan MK. Curiously, nobody seemed to know about the list, apart from an inner circle of people at MKC. 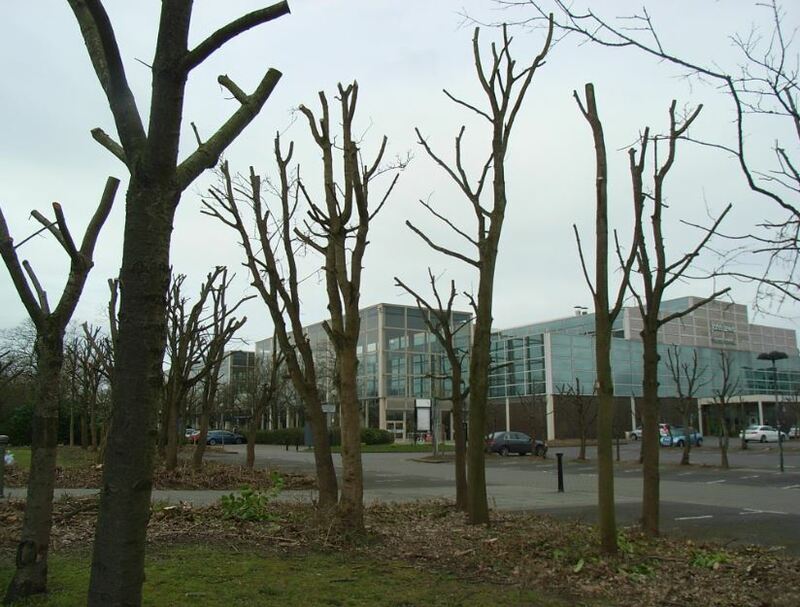 This entry was posted in garden cities, General, Milton Keynes, trees at risk in Milton Keynes, urban planning, wildlife at risk in MK and tagged Milton Keynes, MK City of Trees, MK Council, Open green space, trees at risk in Milton Keynes, Urban Planning in Milton Keynes on June 22, 2017 by xplain. 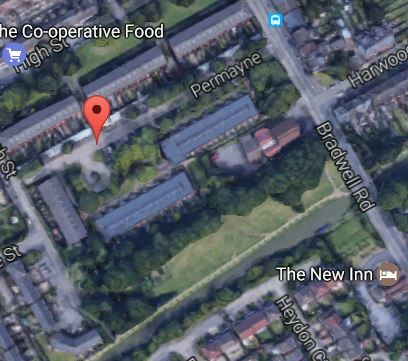 Xplain has discovered that MK Council chiefs have drawn up a list of 117 sites for possible infill housing ranging from gardens for sheltered housing schemes in Springfield to children’s play areas in Wavendon Gate, New Bradwell, Wolverton, Woolstones etc. Even the one great civic square in MK – Station Square in Central Milton Keynes – is back on the list (‘suitable’ for 248 dwellings!). Remarkably, the secretive “Urban Capacity Study” repeats exactly the same mistakes as last year’s ‘Parks for Cash’ fiasco when public outrage forced Council bosses to withdraw a long list of precious open spaces put forward for possible infill housing. Yet again it seems that the Council has failed to be open, inclusive and transparent about the way it has drawn up such an important list. Yet again they have put forward sites which are totally unsuitable for development while trying to claim they pass the initial test of ‘good urban planning’. With planning permission already granted for 23,000 new homes in Milton Keynes, and Plan MK looking to push the city boundaries out beyond the M1, it begs the question – why are they trying to squeeze in 3,500 more homes by returning to sites which were officially withdrawn from this threat in 2016? Apparently, “Sites identified through the Urban Capacity Study help to reduce the number of dwellings that need to be allocated on greenfield sites in the open countryside.” So that’s alright then! Have MKC leaders forgotten last year’s warnings – shouted from the public gallery – that this sort of short-sighted ‘planning’ would create “back to back housing – the slums of the future”? Some of the 117 sites are genuine ‘brownfield’ sites, but having checked the list, Xplain reckons that many are not. Some will even need homes and offices to be demolished to gain access. It is as if officers have scoured the maps of MK, with little knowledge of what is on the ground, got out their crayons and changed green to brown. 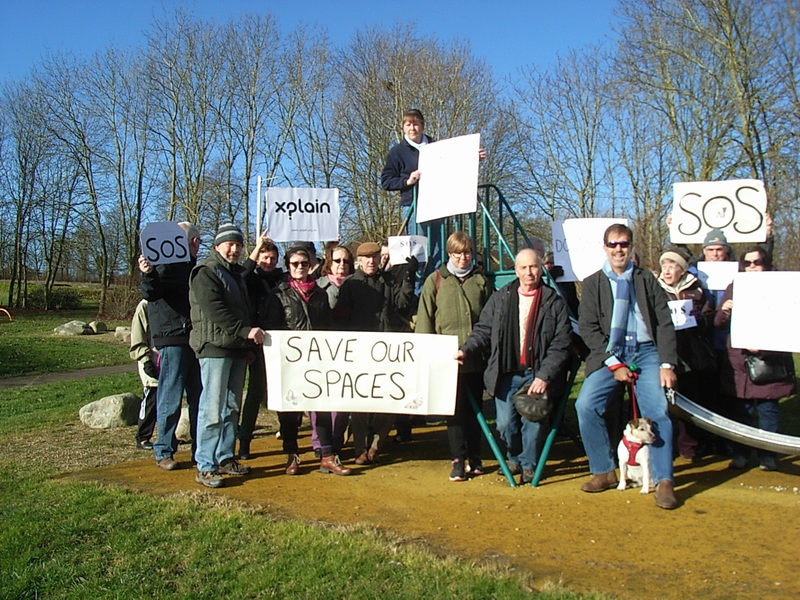 If you are worried about the future of open spaces in MK please follow our blog, check the Urban Capacity Study and contact your ward councillors. To check which sites have been earmarked as possible sites for infill development you can download the Urban Capacity Study here. 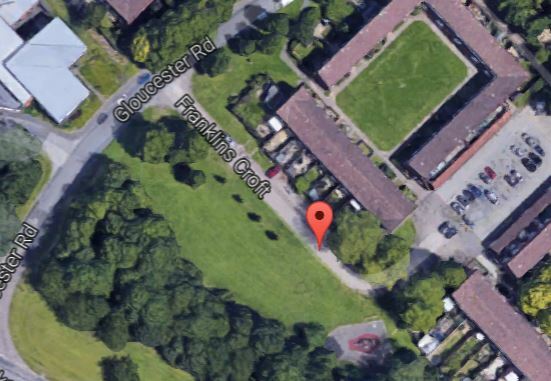 This entry was posted in garden cities, General, Milton Keynes, urban planning and tagged Milton Keynes, MK City of Trees, MK Council, Open green space, trees at risk in Milton Keynes, Urban Planning in Milton Keynes on June 20, 2017 by xplain. Last night senior officers faced “a wall of condemnation” for trying to push through sweeping changes to planning in Milton Keynes. This entry was posted in CMK, General, Milton Keynes, urban planning and tagged Central Milton Keynes, local democracy, Milton Keynes, Urban Planning in Milton Keynes on September 30, 2016 by xplain.